BitNami Joomla! Stack is an all-in-one installer that makes easy to install Joomla on your computer. It is free, easy to use and self-contained. That means that it bundles and automatically configures every piece of software (dependency) necessary to run Joomla for development or production purposes, including Apache HTTP Server, MySQL and PHP. 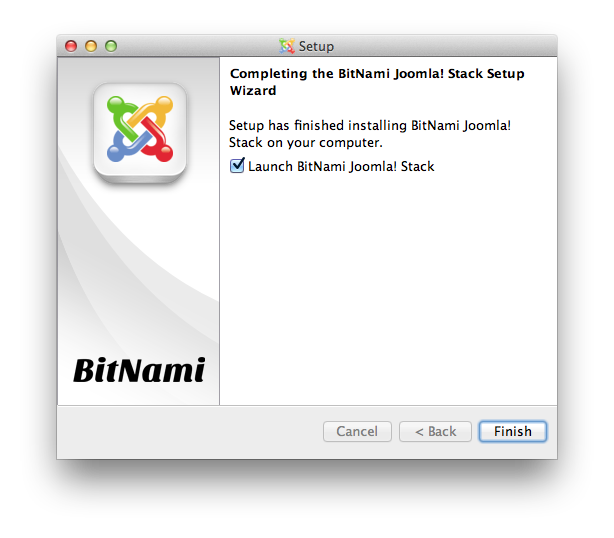 You can download the latest version of BitNami Joomla! 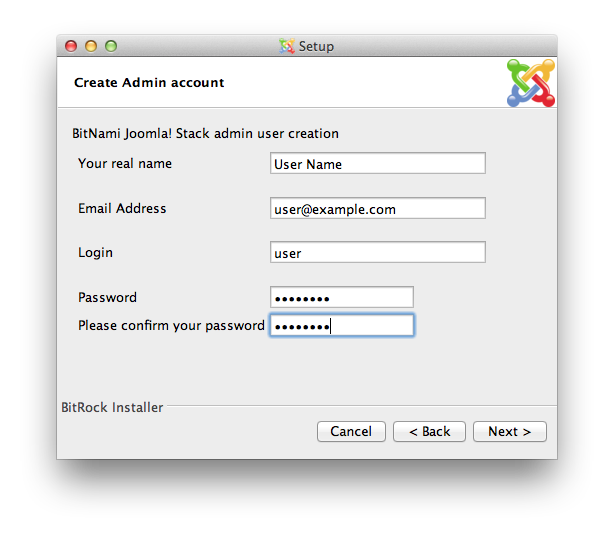 stack for Windows, Linux and OS X at http://bitnami.org/stack/joomla. 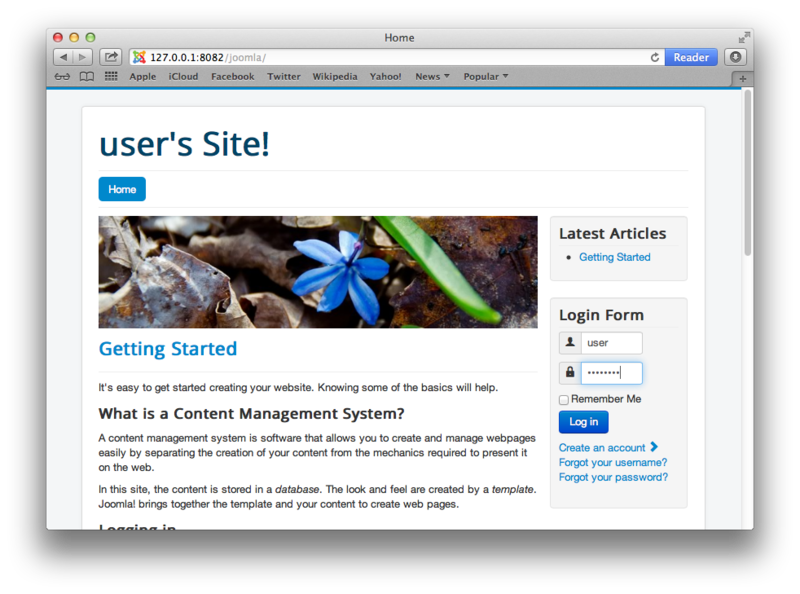 2 Option 2: BitNami LAMPStack and Joomla! 2.1 What is BitNami LAMPStack? This method assumes you already have a (Windows/Linux/Mac)...AMP(Apache HTTP Server, MySQL, & PHP) environment installed. Download the latest version of Joomla! Stack from the BitNami website. 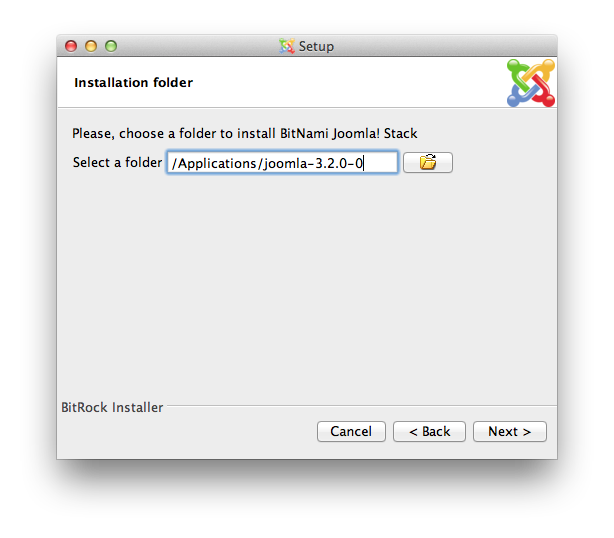 Find the installer you just downloaded (the filename will be similar to bitnami-joomla-VERSION-linux-installer.run. Double click on the icon to launch the installer. Select the components you want to install. If you are not sure, leave the default components checked. Click "Next" when you are done. Now it will ask where do you want to install the program. 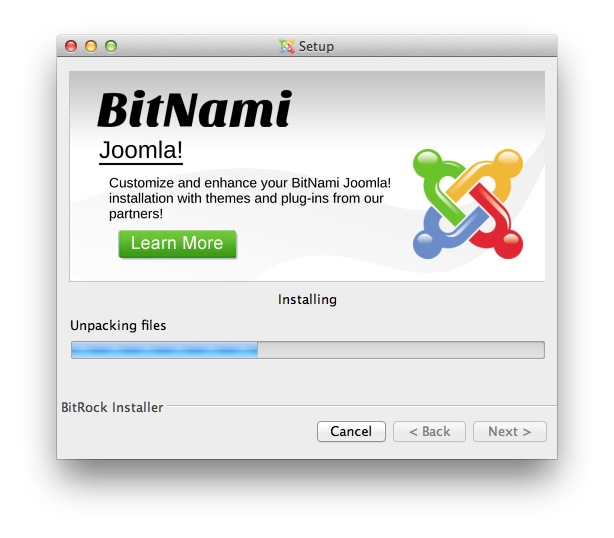 Provide the location where you want to install the BitNami Joomla! stack and click "Next" when you are done. The user and password you provide here will be used to create the admin account in Joomla! Click "Next" when you are done. Type in the name you want to use for your Joomla site, and click "Next". The installer allows you to configure an email account so Joomla! can send notifications via email . Click "Next". 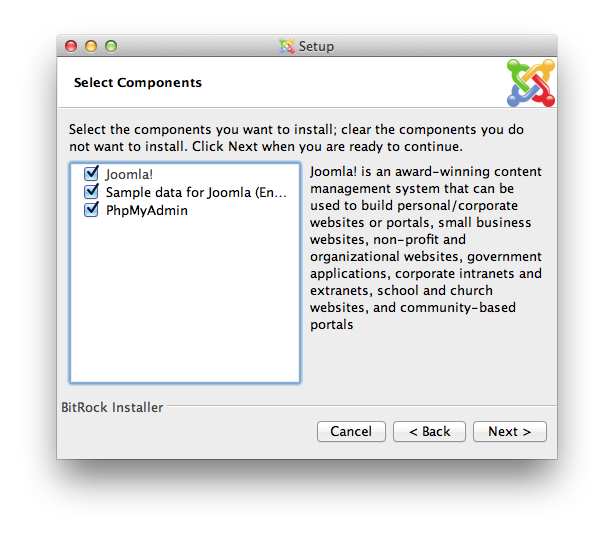 Wait a minute while the installer copies the files and configures your Joomla! installation. Joomla! is now set up and ready to be used. Click "Finish" to launch the application. 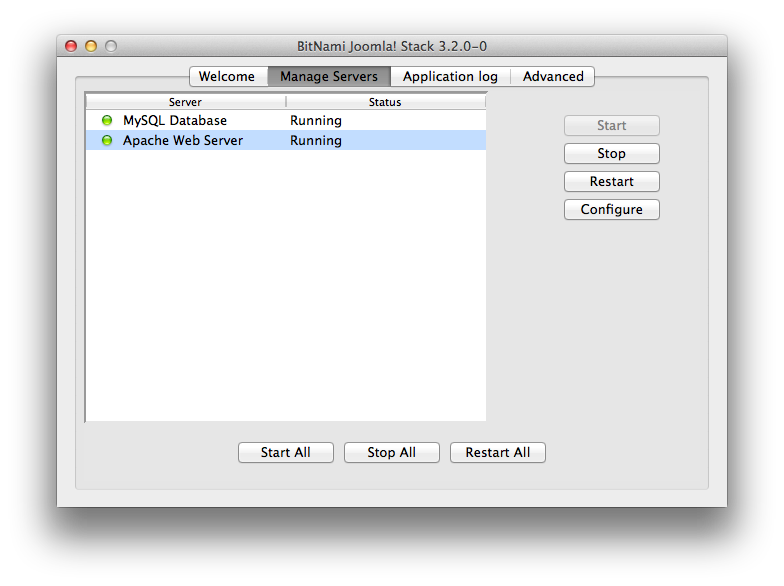 Using the manager tool is easy to start/stop the Apache and MySQL servers. You can manage the Joomla! 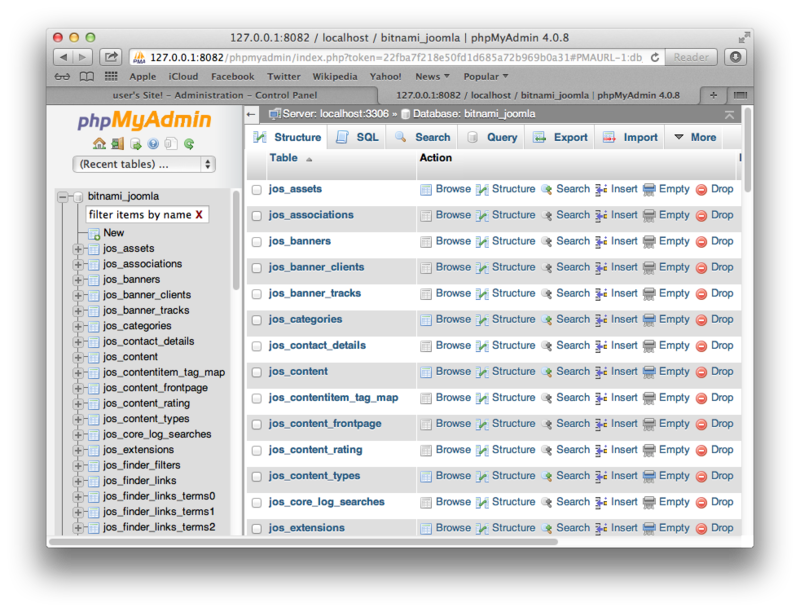 database with phpMyAdmin easily. 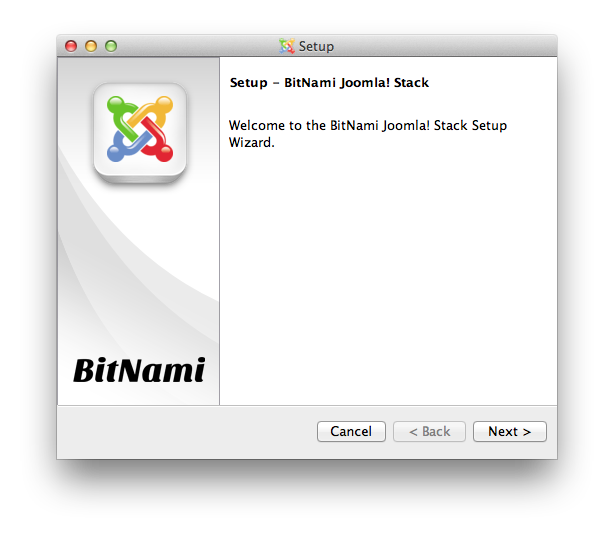 Option 2: BitNami LAMPStack and Joomla! 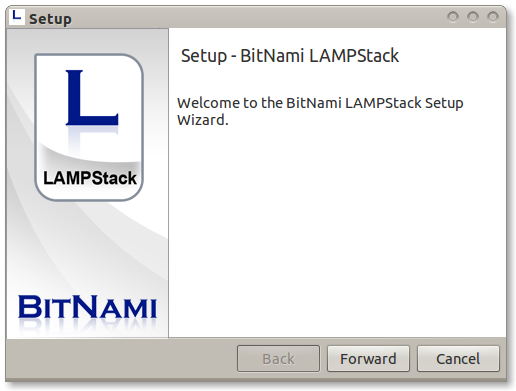 BitNami LAMPStack is a free, easy to install package that bundles every piece of software (dependency) necessary to setup a LAMP (Apache, MySQL and PHP for Linux) environment up and running for development or production purposes. It is self-contained, it makes no modifications to your system and can be uninstalled easily. 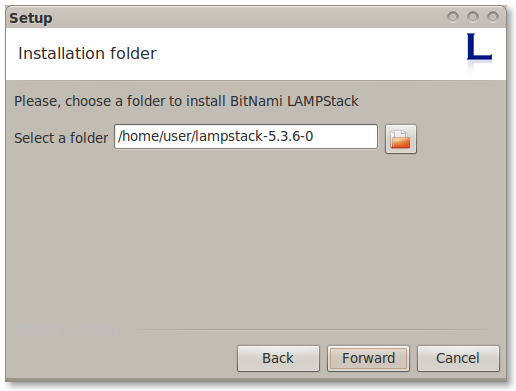 You can download the latest version of BitNami LAMPStack for Linux at http://bitnami.org/stack/lampstack. A Windows version and a OS X version are also available. 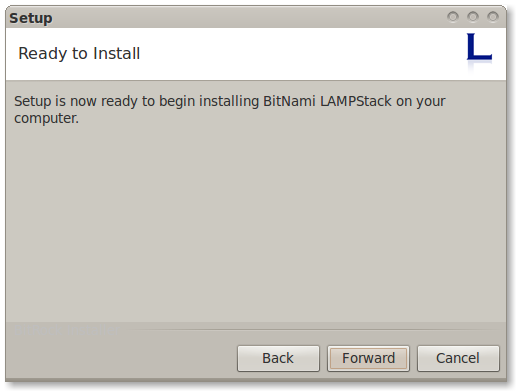 Find the installer you just downloaded from the BitNami website (the filename will be similar to bitnami-lampstack-VERSION-linux-installer.run). Double click the icon to launch the installer. Now it will ask where you want to install the program. Select the location on your machine and click "Forward" when you are done. 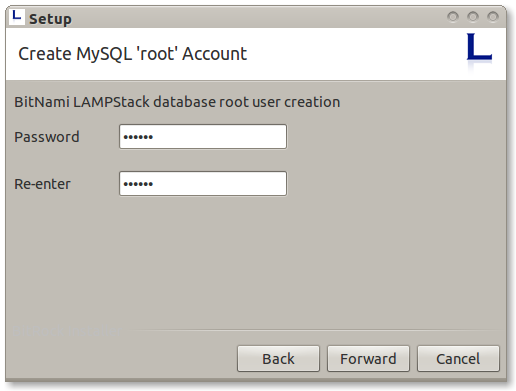 Type your MySQL root password. This will be the password for the "root" user for the database. 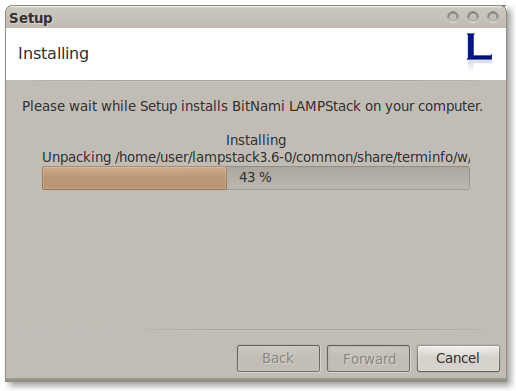 Wait a minute while the installer copies the files and configures your LAMPStack installation. 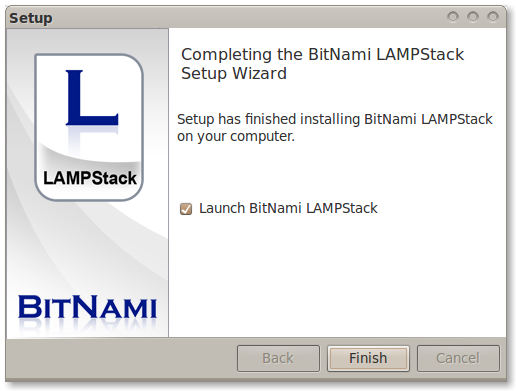 BitNami LAMPStack is now set up and ready to be used. Click "Finish" to launch the application. 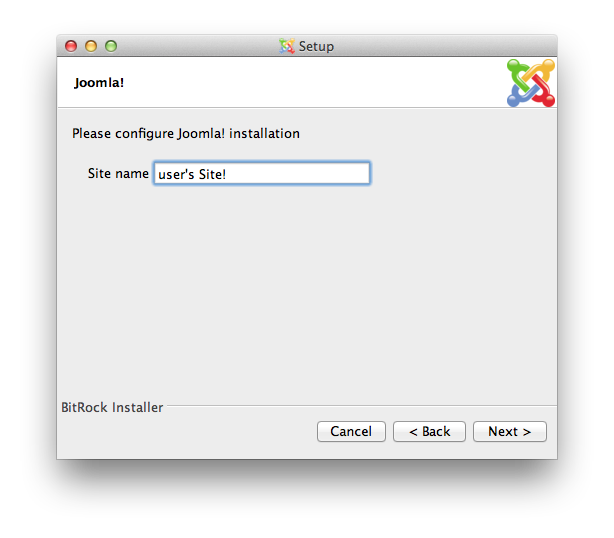 Follow the instructions outlined in the article Installing Joomla. This page was last modified on 26 July 2015, at 12:51.